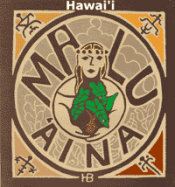 Malu 'Aina » Blog Archive » Are You Political? Published by jalbertini on September 11th, 2018 in Military, Pohakuloa, Radiation, Social Justice, Take Action!, Vigil leaflets. 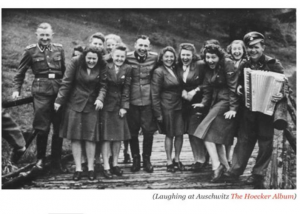 Staff on a break at Auschwitz Nazi Concentration & Extermination Camp During the Holocaust! Hawaii is the U.S. Command Center & Staging Ground for Nuclear War! Camp H.M. Smith above Aloha stadium is headquarters of the U.S. Indo-Pacific Command covering more than 50% of the earth. U.S. nuclear submarines and strategic nuclear bombers are based on Oahu. The Pohakuloa Training Area (PTA) located in the center of Hawaii Island, is a training ground for nuclear war and military human experimentation.